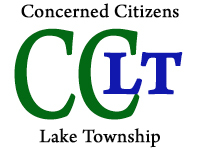 7/26/10 to Sherrod Brown | Concerned Citizens Lake Twp. Your public statements to the media and your constituents concerning accountability of the British Petroleum Corporation is laudable. I hope they intensify to include issues of corporate rule or governance. A somewhat similar environmental and political disaster exists closer to home in connection to the Industrial Excess Landfill (IEL) in Uniontown, Ohio. The corporate polluters here have also been put in charge of the so-called “cleanup.” The regulatory agency here, the EPA, has been compliant to the wishes of the corporate polluters. A real cleanup of IEL has not take place. Those responsible and accountability for the damages, cost and liability have not been brought to justice. Full letter to Sherrod Brown here.